April Contest. 28Mall.com is giving out awesome gifts for Fans. 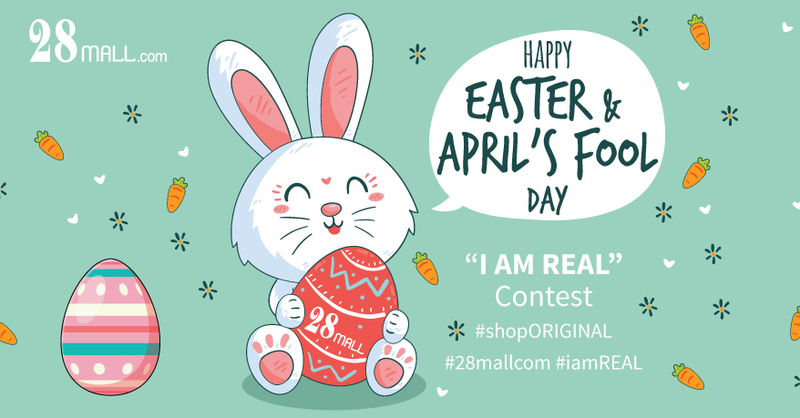 All you need to do is comment below – “I AM REAL <insert choice of gift>” Tag 3 friends & comment why you want to shop 100% original products at 28Mall.com online shopping platform. 2 Contest winners will be randomly chosen and contest closes 5 Apr 2018. Claim your gift by 15 April 2018. 3. 1 Identity Card 1 prize only. This is required for verification.